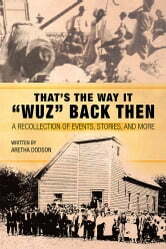 Thats the Way It Wuz Back Then is an overview about a particular period and a particular people in history with limited recorded information about their experiences. The information, gathered from interviews with others and my own experiences, provides a brief depiction of the hardship and suffering of black families during the early twentieth century, segregated schools in the south, and the unrest experienced in the south during the desegregation of schools. The main purpose for writing this book is record bits and pieces of history concerning African Americans in Lonoke County, Arkansas, to be placed in the Lonoke County Library. 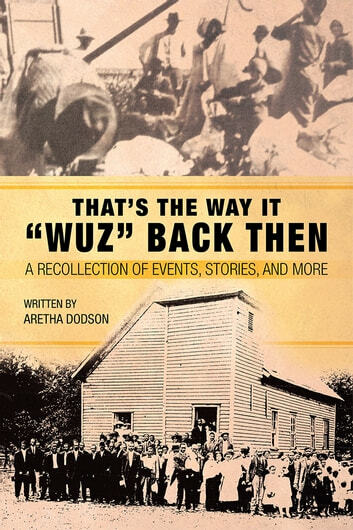 In keeping with that purpose, Thats the Way It Wuz Back Then has chapters that relate to the lives of people who persevered and overcame the difficulties placed upon them and became productive citizens in their communities. The book contains abstracts or clippings of the The Lonoke Democrat newspaper articles relate the physical, cultural, and spiritual existence of African Americans in Lonoke County, Arkansas, during the late nineteenth and mid-twentieth centuries. The Lonoke Democrat newspaper articles demonstrate the experiences of people and their rich cultural identity and family. I wanted to sustain the language or speech of that period in time; therefore, limited editing of this section of the book was done. It is the cultural identity of our ancestors that we all long to reminisce in family gatherings.